If you are reading this article that means that you’ve probably decided to join the community of 3d printing enthusiasts and find out more about 3d printers, or maybe you have already got some experience in it and are ready to try to create your own 3d printer from scratch. In this article you will find general understanding how 3D printers can be built as well as links to really useful resources where you can find more detailed information with step-by-step description. Currently there is a big variety of 3d printers in the Internet that already assembled and are ready to print right after you unpack them from a box, of course you also need to buy a 3d printer filament for it. Do not forget that not all 3d printers can use the same filament types, so please read the instruction before you purchase it. But for some people who love to make something new with their own hands can be more interesting to build their own 3d printer from scratch. Based on our research the 3D printing community is filled with many enthusiastic people so called DIY’ers (Do It Yourself’ers), who are fascinated with building 3d printers literally almost from scratch. Good example of it is RepRap movement. 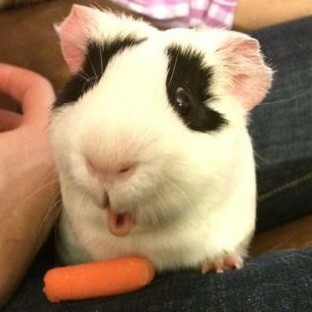 RepRap is short for a Replicating Rapid-prototyper. In other words it is the self-replicating 3d printer. 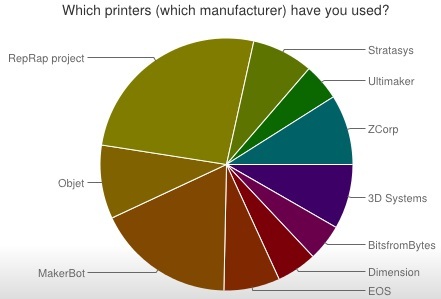 In fact most of today’s top consumer level 3D printers (picture above) are originated in one way or another from RepRap. 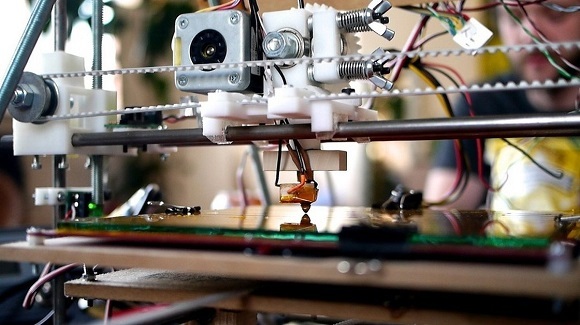 You can find a lot of examples on how to build a 3d printer from scratch on RepRap website, but we also want to describe some of more essential steps in order to give an overall understanding of what to expect if you really decide to make your own 3d printer. 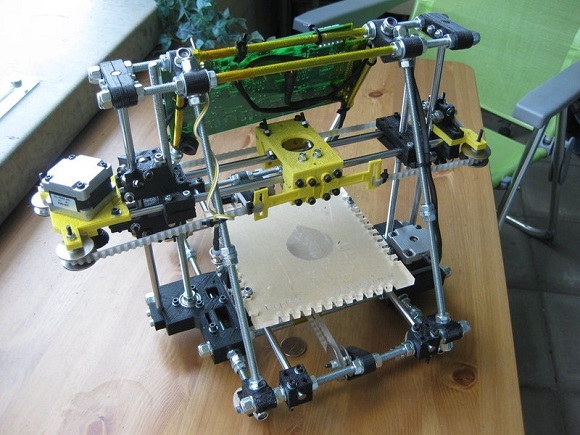 Scratch Built 3D Printer – This 3d printer DIY kit is for those who prefer to build thing from scratch, or in other words go to DIY RepRap route. Apart from some essential advantages this approach has also its disadvantages. In theory it can save you some money and since you build it from scratch you will know every nut and bolt in it by the time you can use it and successfully print your first object. Main disadvantage of this method is time. Literally it will take a lot of time to deal with all these hundreds of bolts, wires, belts and much other stuff. In the end you still need to select and purchase or build a controller board, but it depends on your skills level. 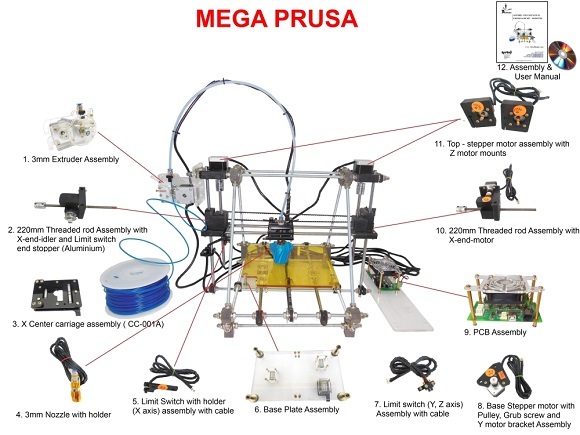 Kit Built 3D Printer – This type of kit is good if you want to save some money and at the same time not to deal with all challenges described in the 1st kit type. Many manufactures sell such kits with “easy-to-assemble” instructions included. I doubt that it will be as easy as assemble a chair from IKEA, so you still have to be mechanically inclined and able to understand basic geometry. Some of such kits contain not all parts and you may need to buy something in addition. The next step will be to determine the design for your 3D printer. In my humble opinion most of DIY 3D printers have not very breathtaking and futuristic design in comparison with MakerBot and other brands. But it is also a matter of taste, for some people the design is not very important. Once you have got your 3d print DIY kit and chosen the design you could go ahead and start the most fascinating and time consuming part – build your own 3d printer. Be prepared for sleepless nights and a lot of fun. Maybe you will make up something new and present your findings to RepRap community. When the hardware part of the 3d printer is ready you also need to add a software component to it. It basically does the following things: allows you to view and alter 3d graphical objects, as well as converts the 3d images into instructions that 3d printer can understand. Finally you can 3d print your first object! If you do not have anything to print, you can find a big variety of objects on specialized marketplaces such as Shapeways, Thingiverse and others. Before printing make sure that the object you want to 3d print has the right size and fit on the printer frame. Also watch a video from Ben Heck in which he answers on some 3d printing related questions. There are a lot of places where you can by them. 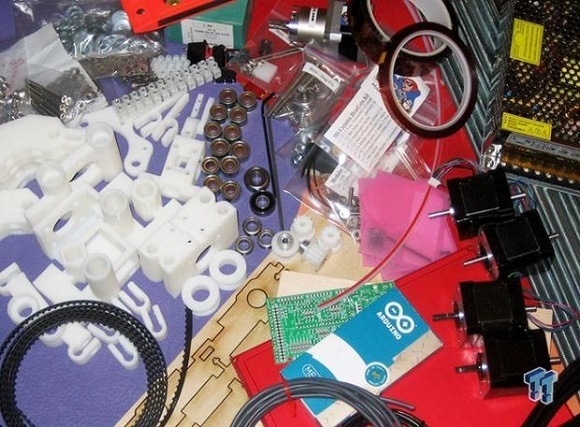 Just search for DIY 3D Printer kits or DIY 3D printers. 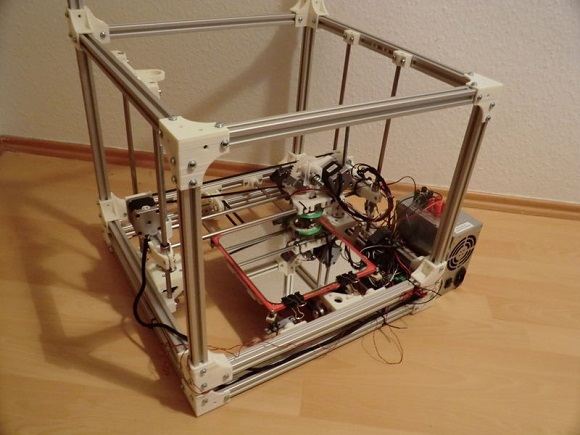 Instead of buying parts, you may look into getting a DIY 3d printer and assembling it yourself. One DIY 3d printer with reasonable price can be found on DeepSpace8.com. what a wonderful chess set you could build with a 3d printer! Hi, is there a site where how the printer works is explained in great detail. Please let us know if you need more details for specific technology. and where can i find a kit like that?? Simple answer: You can not ‘buy’ one for that cheap. But you could, however, salvage parts, and any parts you might need to purchase, could hypothetically cost around 1000-2000 rupees if you search around enough. Hey , I am from India and I need help and advise to construct 3d printer for my final year project . can anyone help me regarding all stuffs that I should buy and how to construct whole idea. i want to make a large size 3d printer 1000 mm x 1000 mm x 1000 mm, any specific part required or same part as small printer required . i want to buy stepper motor where i buy in Delhi, and any place where i buy all electrical part of printer . and how much it cost to me . Hello , can I find manuals or some explanation somewhere how to make it bigger like 1000mm 1000mm 1000m (x,y,z) if I by arduino one or some other chip is it possible to create bigger case and other electric (chip) parts can support bigger space for printing ? Thanks ! Alrighty, so I have looked around a bit and was wondering if I could use the old raspberry pi that i have laying around and I encountered a unique situation. No one that i am aware of have used the pins on top of the board to make the printer and instead buy something else to connect to the pi and in my opinion waste one of the purposes of using a pi. I was wondering if anyone could tell me why this is done. Hi. Iam from india. i want to construct a 3D printer with concrete extruder. where can i get details about detail construction process? I have been building the 3dprinter from weekly instalments through eagles publications. The building of the machine has been quite successful but I have been unsuccessful in downloading the computer program to set it up and start printing. I have spent hours of IT support from Apple and Telstra to no avail. The phone number in the magazine for Australia is “not connected”. I have emailed the US office which takes 2-3 days to answer and then supplies incorrect numbers and they have now recommended contacting the UK office. The magazine distributor is trying to find help but that has taken over a week . This has cost over a thousand Australian dollars and I can’t do anything with it. Do you have any suggestions please as I am desperate.